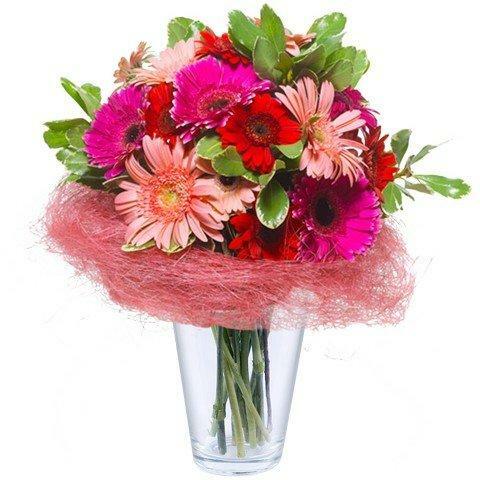 Take a step into a floral wonderland with bright red and pink gerberas to captivate your recipient. This bouquet is completed with a colourful pink sisal wrap to add an extra air of fantasy to this wonderful surprise. Mesmerise someone special on their birthday or to say thank you for their support. that nice composition of fresh flowers made my day! Really nice bouquet. Service very helpful. Did everything I asked. Thank you. Very easy to use,flowers delivered on time. The orders were promptly delivered and brought lots of joy!